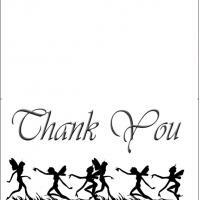 These printable thank you cards feature fairies to show your appreciation. These unique free printable cards use fairy silhouettes dancing on the grass. Thank you is written in an elegant and fancy font. This card will be sure to delight any recipient especially fairy lovers. 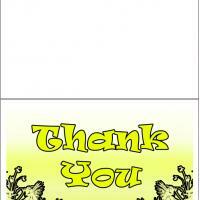 This card has no particular theme so it is useful to thank someone for anything. 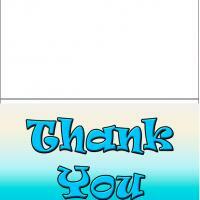 Print this card out and if you wish add a personal message, then give it to someone to show your appreciation.